Facebook is one of the world’s largest and most successful social networking platforms, with the goal of bringing the world closer together. Your work at Facebook impacts billions of users around the world every single day. They live by the belief that “this journey is 1% finished” and that the work they’re doing has only just begun. The leadership team at Facebook is very proactive and hands-on, offering their feedback and providing insight to employees every day. The management team consists of some of the brightest minds in the world, and they've made it abundantly clear that they want employees to know that their voices are heard and opinions are valued. Over the years, Facebook has consistently landed a spot on "The Best Places To Work" list. 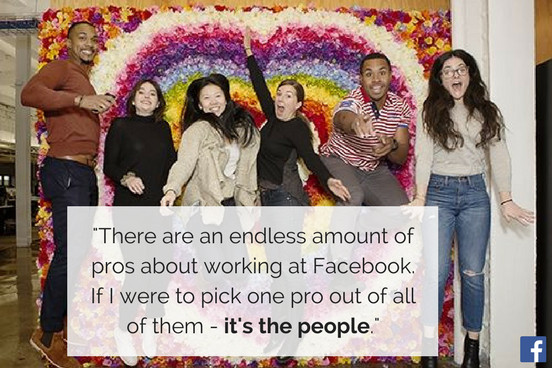 A big reason people love working at Facebook is because of the amazing people that work there. Co-workers are always collaborating with each other and having fun while in the office, making it very easy to come into work every day. Today, employees want to know that the company they work for is contributing to the community and making an impact on the world. They want to know that they're working for an employer that has values and believes in doing good. Facebook constantly gives back to the community and works tirelessly to achieve their goal of bringing the world closer together. When you work in a fun office, it makes coming into work every day that much easier and more enjoyable. It's important that we get our jobs done, but it's also important that we are happy at our workplace. 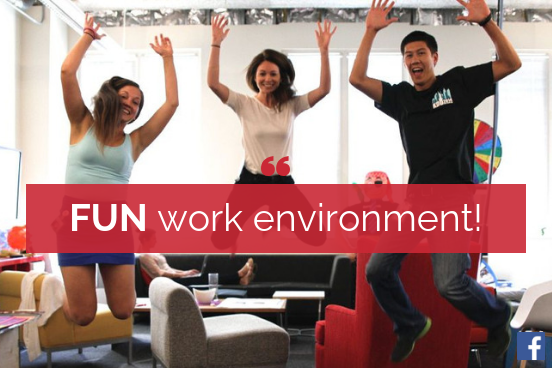 Facebook has created a fun work environment for its employees by encouraging a collaborative, fun work atmosphere. 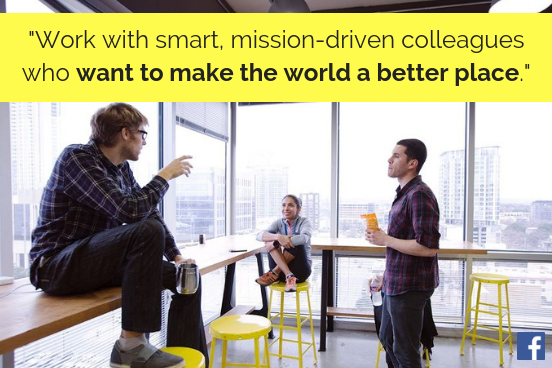 We all want to work for a company that's making a difference in the world. It makes our job that much more fulfilling and rewarding. 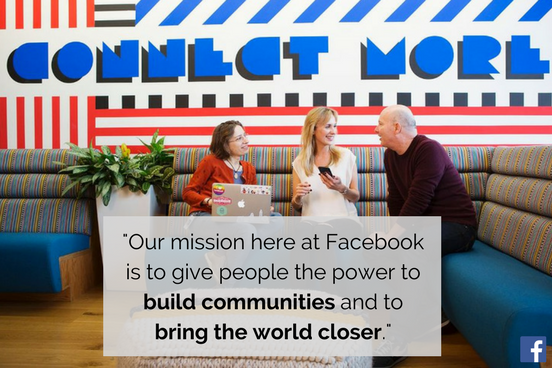 At Facebook, you'll be working with passionate people who are constantly thinking about what they can do to make the world a better place. P.S - Today, job seekers are more informed than ever before. In fact, 90% of candidates are doing their research online before applying to a job. So, what's the most effective and easiest way candidates are finding their dream job? By using hashtags! Hashtags are a universal way for us to search for content on a particular subject on social media. All you need to know are the right hashtags to use to find the companies that have what you are looking for in an employer. That's where Work It Daily comes in! We’ve created the hashtag master key for employers and job seekers. Companies use our universal hashtags to post their employer brand content so that you, the job seeker, can find them. All you have to do is use the same hashtags in your search.